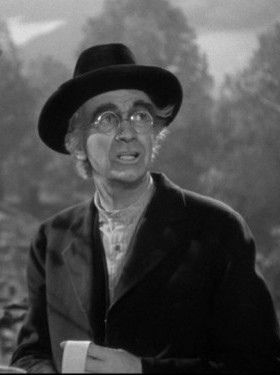 Walter Brennan's Oscar nominated role of Pastor Rosier Pile in the film Sergeant York is certainly interesting, and I even say a praise worthy performance and great film role. As a biographical film, I'm uncertain as to what degree of care was put into the creation of this character, because at first glance there are many parts of this rural minister that are quite stereotypical. He's hand waving, country church preaching much of his screen time. He's soft spoken. He's sensitive in a way no other male character in the film is, particularly in his interaction with Mother York (Margaret Wycherly). But despite some of the stereotype, I'm not critical. Some pastors are hand waving speakers. Some pastors are known for their preaching. Some are soft spoken. And some are sensitive, particularly to old women. But what I like about this character in the film is that in addition to all these things, he is also unafraid to be honest, and handles a rough guy (like the pre-conversion Sergeant York) with a care and honesty that I felt like was moving. He didn't gloss over the truth, but he didn't condemn. Rather, you could tell it was a love for the York family, including Alvin York (Gary Cooper), that helped lead him to repentance. I like that this image of Pastor Rosier Pile doesn't end his interest with Alvin York at the moment he experience conversation. I like the fact that in interaction isn't solely for him to attend church (although that is an interest of the Brennan's character). Instead, he truly seems interested in helping Alvin York experience full life transformation, that will impact every aspect of his life. 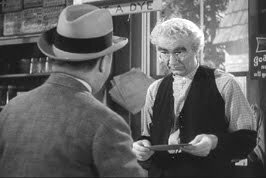 Another aspect of Walter Brennan's character is that while he he is the minister to the community he also the owner of dry goods store. I don't know why I am drawn to this aspect of his character, perhaps it's because it helps break up the stereotypical character, and even give him a sense of cultural relevance that he is capable of having a trade in their community that doesn't depend on the attendance in his white painted chapel. 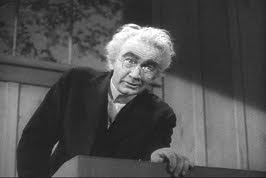 I wish there were more films that had characters like Pastor Rosier Pile in them. Often biographical films have a spiritual element, because our spiritual self's influence what we do, as we see in the life of Alvin York. For some reason, in modern fictional films, film makers and writers seem to fail at writing in interesting characters like this into their stories, and if they do, they stick to the stereotypes.